RollerCoaster Tycoon Touch has a new update available now. Adding a special Easter update for everyone. 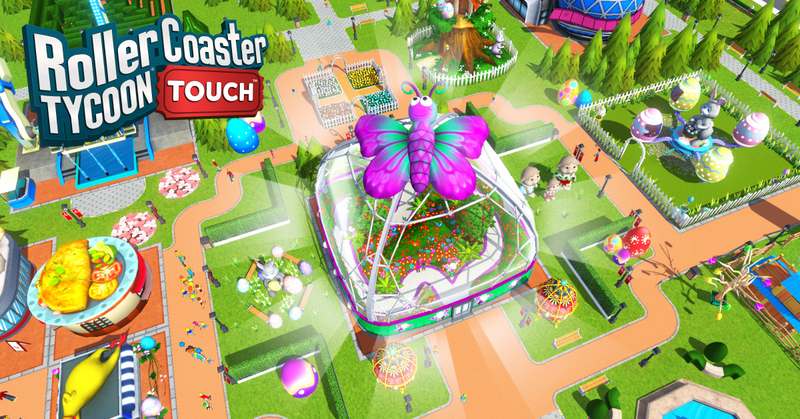 Boasting over 22 million players since the game’s release in early 2017 on iOS and Android devices, RollerCoaster Tycoon Touch’s latest Easter update allows players to continue creating and customizing their dream parks to their heart’s desire — now with a touch of springtime cheer. The Easter update follows the cutesy Valentine’s Day update, the festive Winter Holiday update, the spooky Halloween update, a wet and wild Water Park expansion, and a culinary-themed content update created in partnership with TV personality and social media star Foodgod (Jonathan Cheban). RollerCoaster Tycoon Touch is now available for mobile devices.